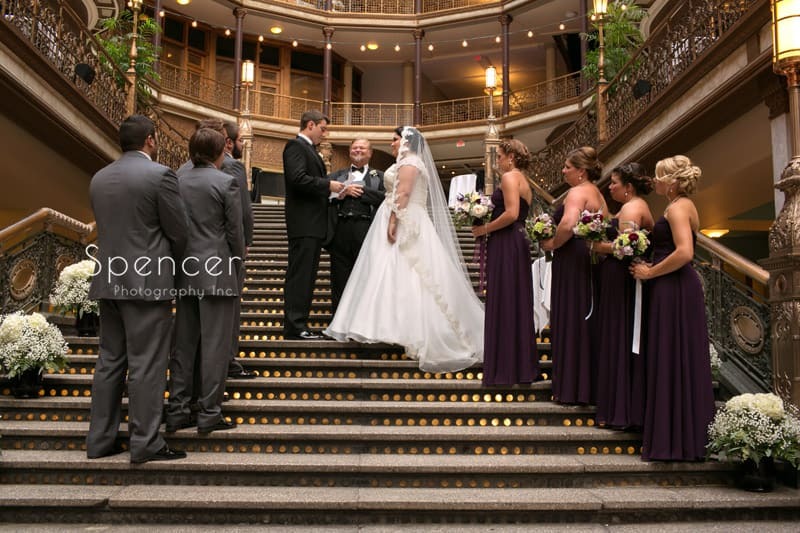 If having your wedding ceremony in an iconic Cleveland location is your goal, the Cleveland Arcade should be on the top of your list. Historically, the Cleveland Arcade was a retail space. 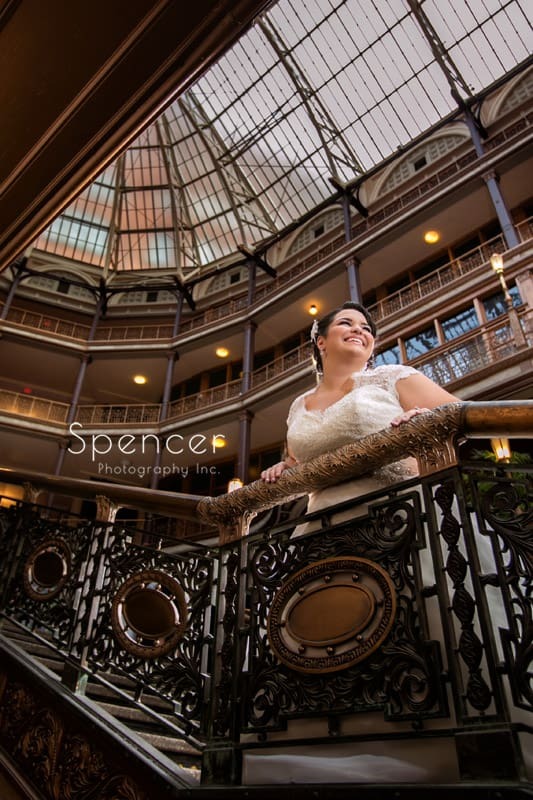 Opening in 1890, and modeled after the Galleria Vittorio Emanuele II in Milan, Italy, The Cleveland Arcade was the first indoor shopping center in America. Still populated with retails stores and restaurants, the Arcade is located in the heart of downtown Cleveland. 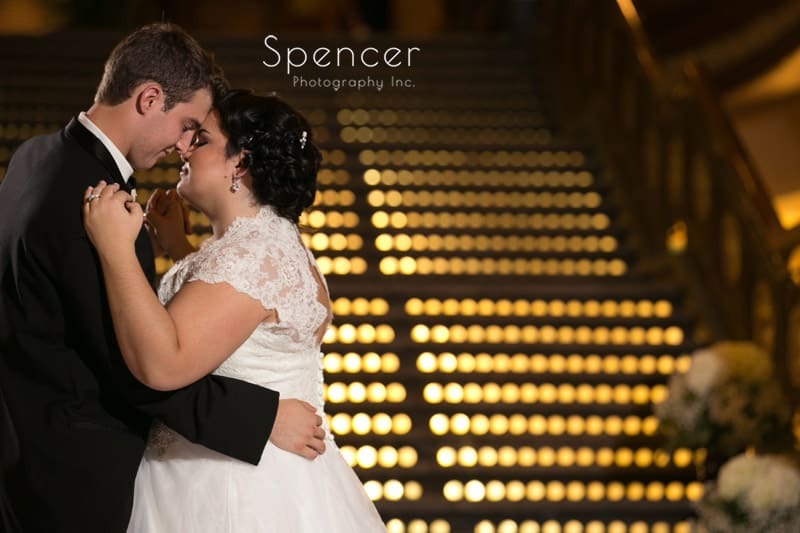 This makes it a good choice if you want a lot of great wedding pictures in Cleveland. You are right across the street from another popular downtown location, East 4th Street. It is also across from The Cleveland House of Blues, within walking distance of Playhouse Square as well as Quicken Loans Arena. 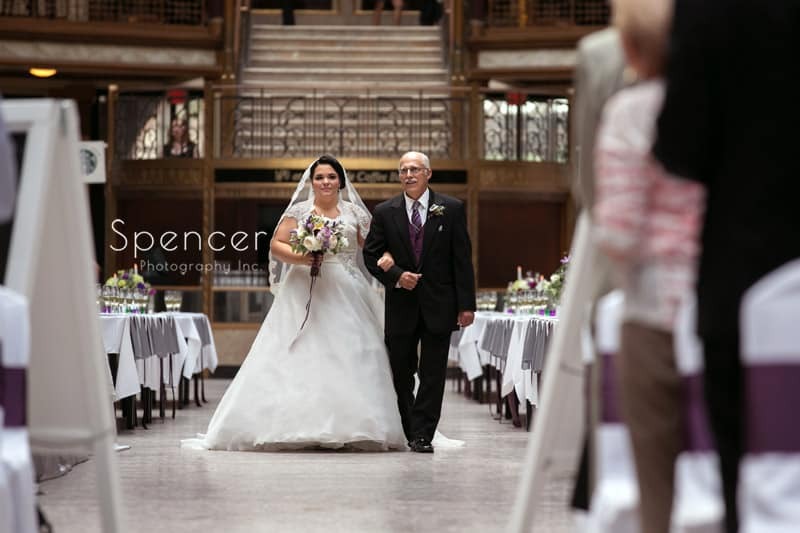 All great spots for wedding pictures in downtown Cleveland. 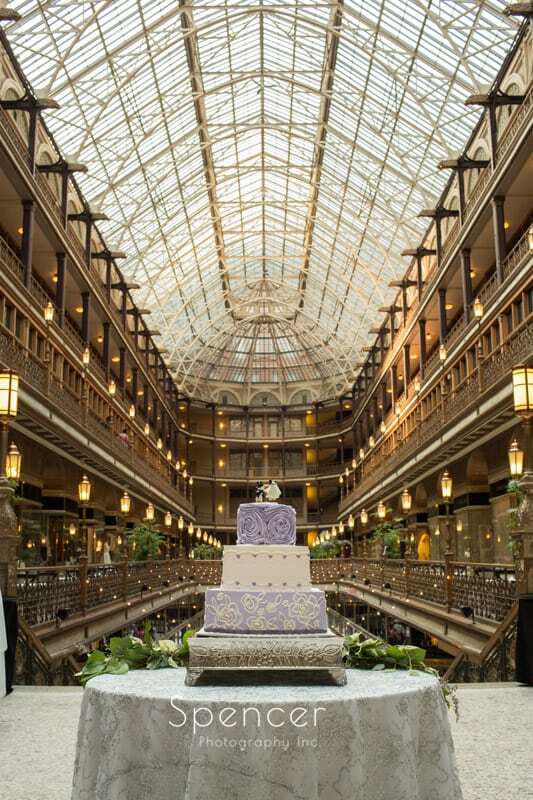 One of the great things about having your wedding ceremony at The Cleveland Arcade is that it is connected to Hyatt Regency Hotel Cleveland. You can stay in the hotel the night before your wedding and get up the next morning and prepare for your day. 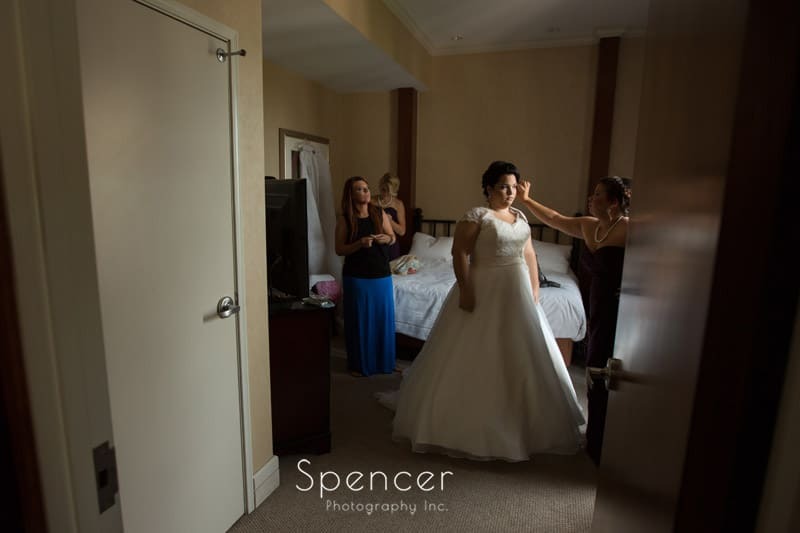 Having your hair and make-up on location is the best choice for brides for many reasons. 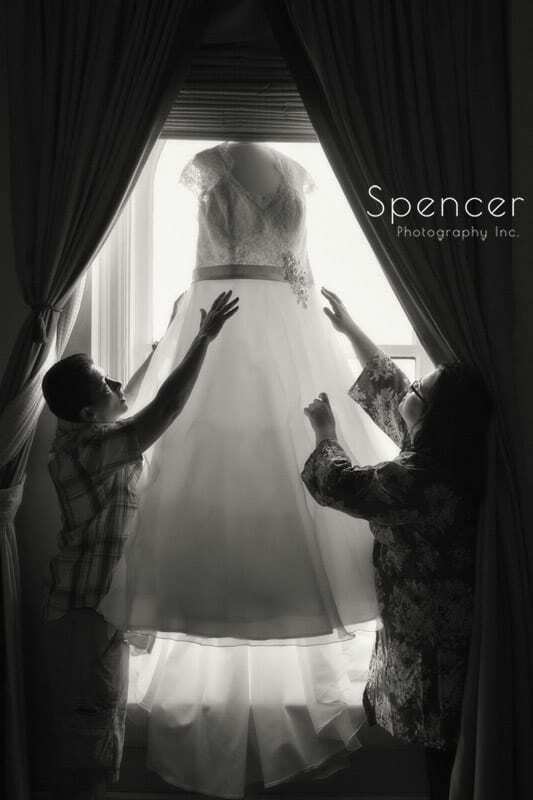 The number one and most obvious reason is convenience for you as the bride. Secondly, it really makes for a more efficient wedding day timeline, which is extremely important for a successful wedding day. 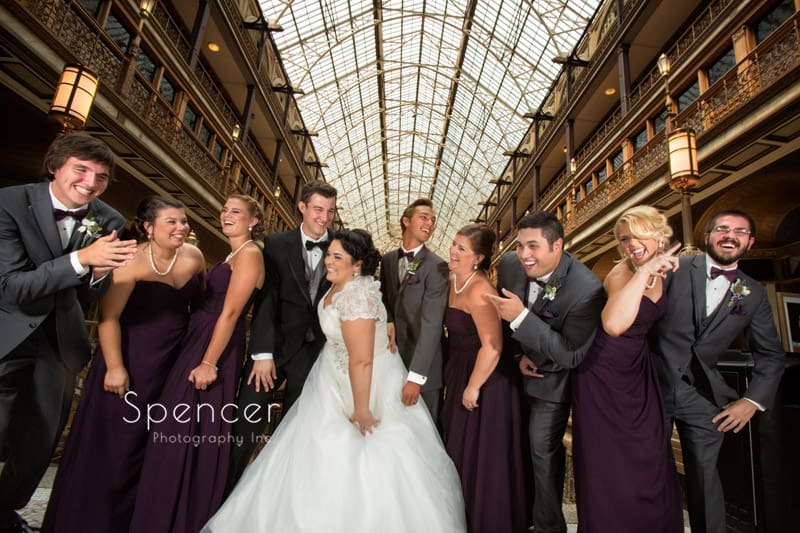 As I mentioned, you are close to a lot of popular locations in Cleveland for wedding pictures. Once you are dressed and ready for your day, you simply walk to wherever you want your photos. And this isn’t even taking into account how awesome the Arcade is for pictures. You really don’t have to leave if you don’t want to. 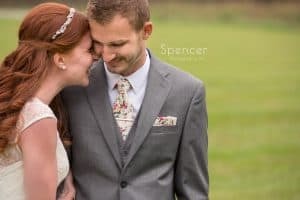 This is one the threads that connect all of my favorite wedding venues in Cleveland. They are all such great spaces that you don’t have to leave. If there is inclement weather, no problem. You don’t have to leave the location (although I always say that inclement weather is an opportunity for unique wedding pictures). 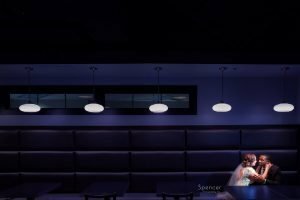 Finally, another thing that all great wedding ceremony locations have in common is that you can also have your wedding reception there. The Arcade is no exception. A vast and unique reception space it’s normally a no brainer to have all of your wedding formalities in one location at the Arcade. And, it transforms in the evening. The Arcade is one of those reception locations that need no decoration. It stands on it’s own. 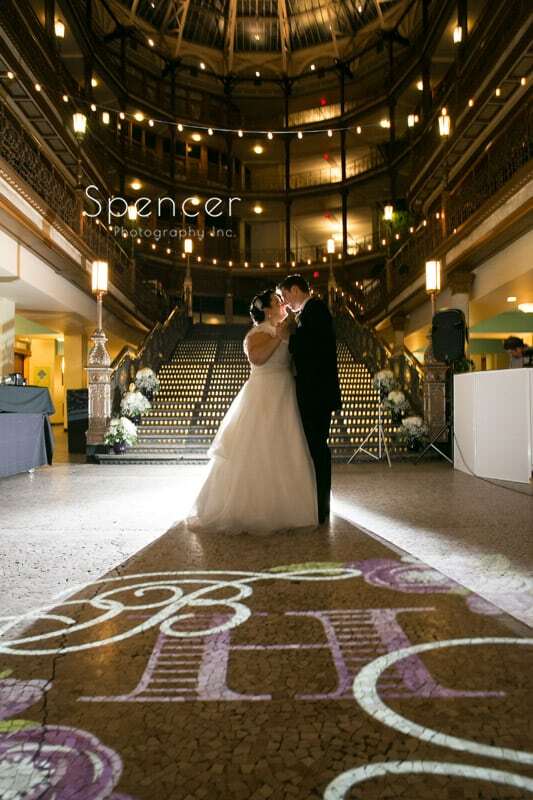 Plus, once your reception is over, because the Hyatt Regency is, literally, right there, you and your wedding guests can simply walk to your room. No one has to drive. Transportation needn’t be arranged. A iconic, historical location. 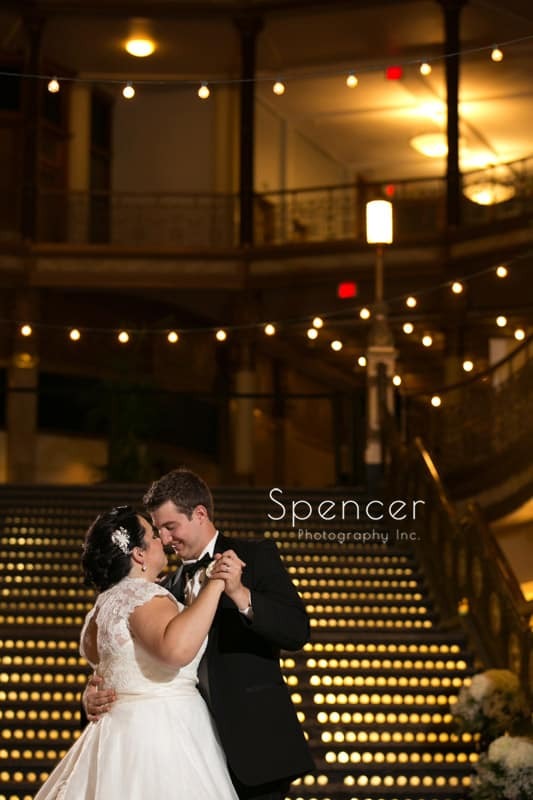 A beautiful space situated in downtown Cleveland. 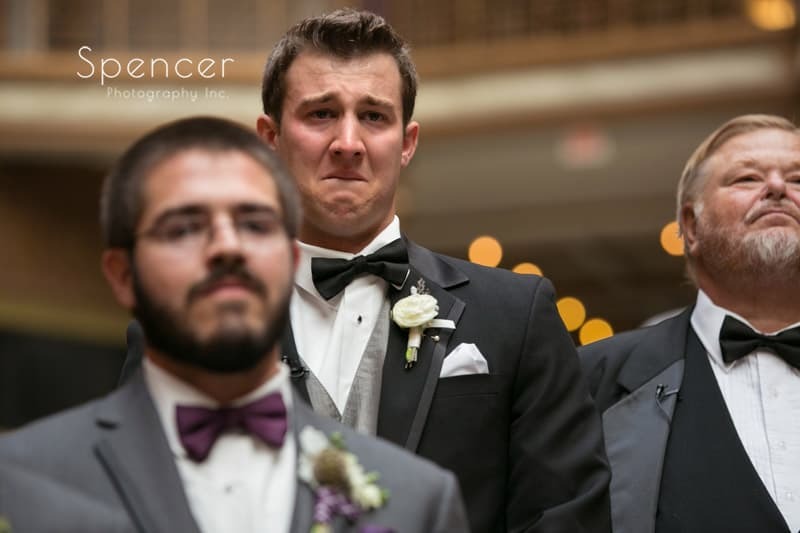 Having your wedding and reception in one spot. 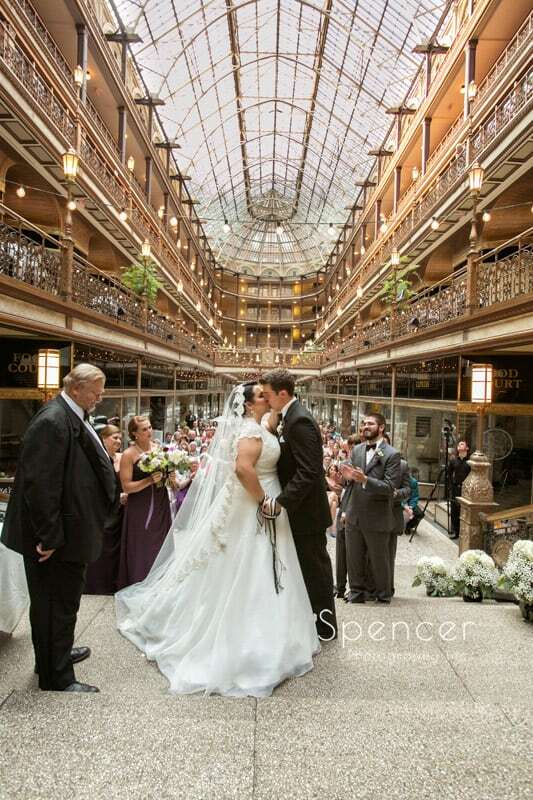 These are all very good reasons to have your wedding ceremony at the Cleveland Arcade and it’s why it’s one of our favorite wedding locations in Cleveland.